This information was sent to the IT Security Community and Frontline Notify via email on December 4, 2018. Please share this information with people in your units as appropriate. Updates to Google Chrome normally happen in the background when you close and reopen Chrome. If you seldom close and reopen Chrome, you may be missing important security updates. Check the icon in the upper right corner of any Chrome window to see if updates are pending. If there are pending updates, install them. Some Chrome updates require that you quit and reopen Chrome to take effect. People who go for long periods of time without closing Chrome may be missing important security updates. This leaves Chrome vulnerable to possible exploitation. Three dots: No updates pending that require a Chrome restart. 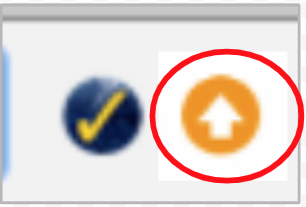 Orange arrow: An update requiring a Chrome restart has been available for four days. Red arrow: An update requiring a Chrome restart has been available for seven days. Install pending updates. 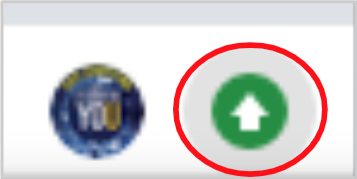 Click the green, orange, or red arrow. Then, from the pop-up menu that appears, select Update Google Chrome. In general, the best protection for your devices is this: keep your software and apps up-to-date, do not click suspicious links in email, do not open shared documents or email attachments unless you are expecting them and trust the person who sent them, and only use secure, trusted networks.